Softphones are a special kind of computer software, functioning as a virtual phone, allowing people to communicate with others over the Internet using their PC or laptop. 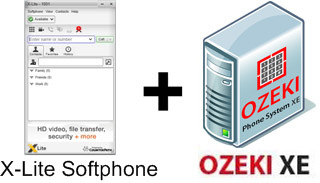 In this guide you are going to connect a softphone (X-Lite Softphone) to the Ozeki Phone System XE. Below you can find the step-by-step explanation of the the whole process. 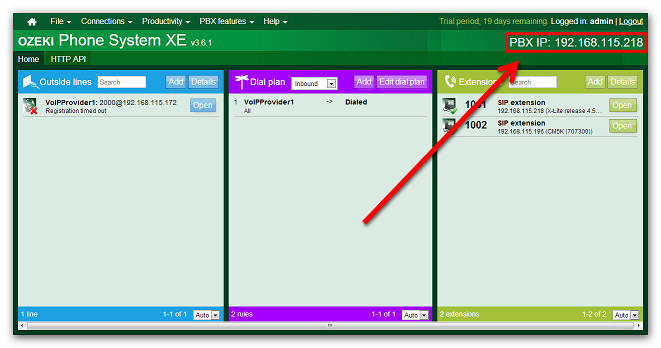 In order to connect your softphone to Ozeki Phone System XE, first you need to create a SIP Extension. You can find detailed guide about how to create a SIP Extension here. In the next step, you are going to connect a Softphone to the Ozeki Phone System XE. (In this guide X-Lite Softphone software is used, but the steps are similar to other software). 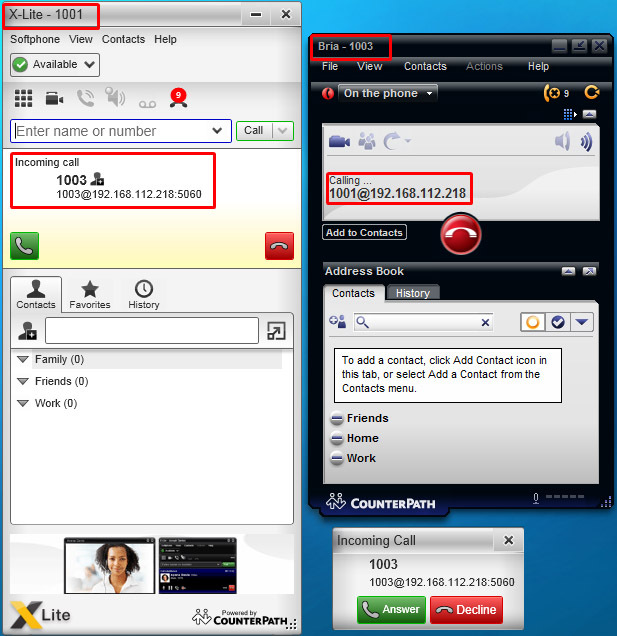 First, you need to download CounterPath X-Lite softphone. After you have installed and started it on your PC, its user interface will appear automatically. There, select the Account tab, and fill the following data fields: Account Name, User ID, Domain, Password, Display name, Authorization name and Proxy Address. The User ID field in X-Lite Softphone and the Authentication name field in the Ozeki XE SIP Extension have to contain the same data. 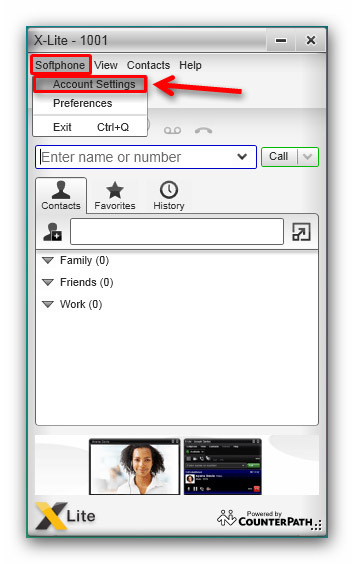 Moreover, the Domain field has to contain the IP address of the Ozeki Phone System XE (Figure 4), which can be seen at the top right corner of the Ozeki XE GUI. 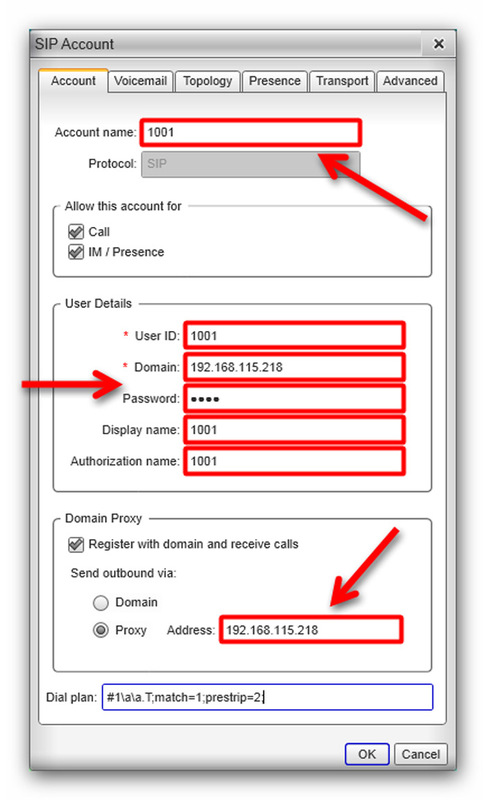 After specifying the SIP details, click on the 'OK' button at the bottom of the SIP account configuration panel in X-Lite softphone. The guide above presented that Softphones can be used as an analog phones and can be easily connected to the Ozeki Phone System XE. 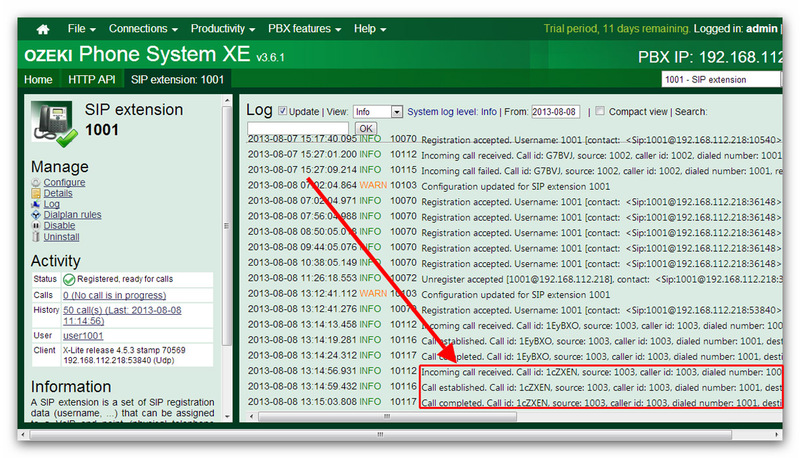 If you carefully followed that guide, you will be able to install a new SIP extension in the Ozeki Phone System XE and connect your Softphone to it.